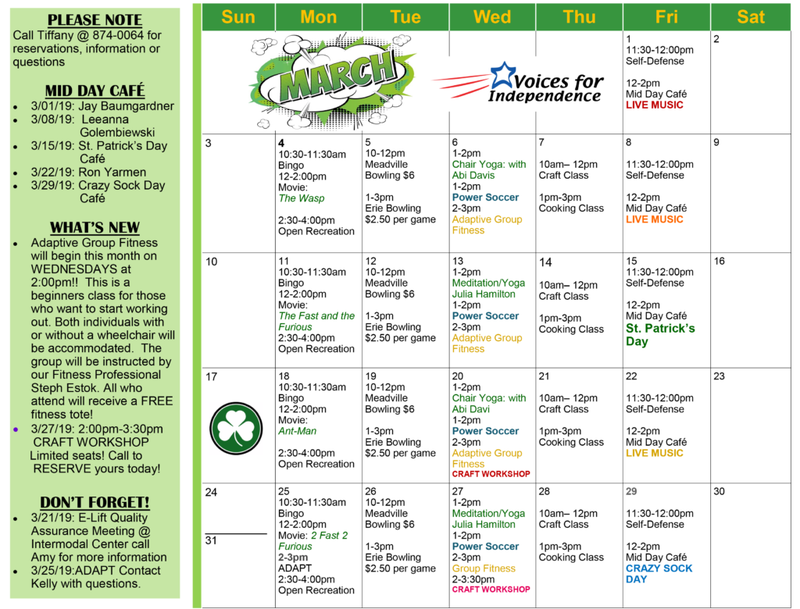 No Fooling– April’s Activity Calendar is Here! It may be April 1st, but we’re not FOOLing around– The April activities calendar for our Erie office is here! 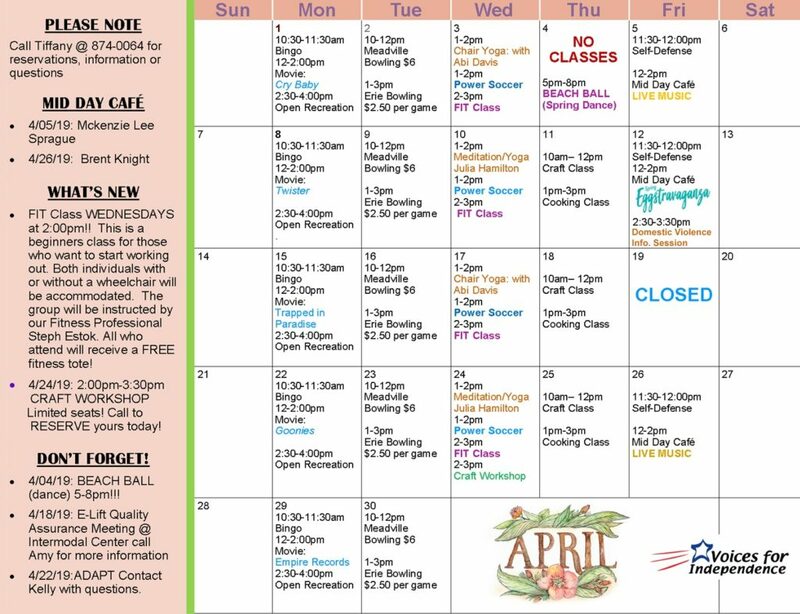 Check out the activities we have planned, including our Beach Ball Spring Dance, happening this Thursday! For more information, or to RSVP for the Beach Ball and other events, call Tiffany Frey at (814) 874-0064. Hope to see you all there! For those that have not heard, our Erie office is operating on a delay this morning. 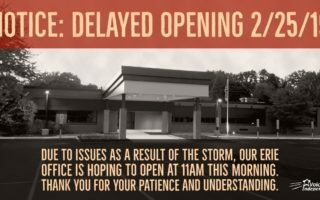 We hope to open at 11am, and we will keep you updated if we are unable to do so. Thank you for your patience & understanding.